Hey guys! Hope the weekend is going well. 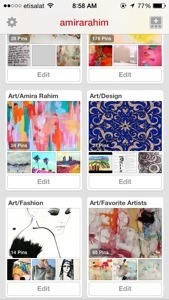 I’m busy here in Abu Dhabi preparing for an upcoming art show but wanted to connect with whoever is on Pinterest.